Happy Friday! Hope you had a great week but an even better weekend. The blue prompt was possibly the one I was most nervous about. I am not sure if it is because I had too many ideas or too many stunning blues to choose from. I started off with 2 coats of Sinful Colors – Snow me white on my index and middle nails. While I left that to dry completely I added 2 coats of Tip Top – In the navy to my pinky and 2 coats of Morgan Taylor – Regal as a royal on my ring and thumb. 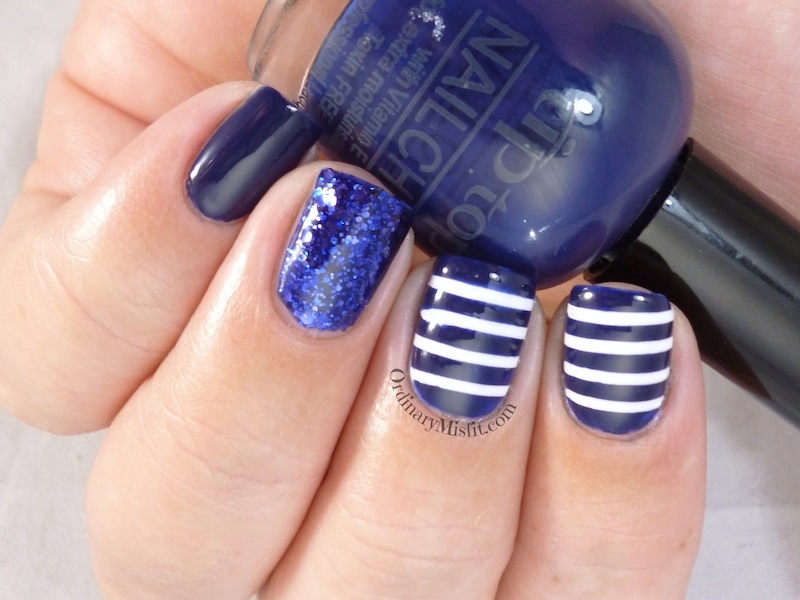 Once everything was completely dry I added striping tape horizontally on the white nails and then added a coat of Tip Top – In the navy and removing the tape immediately. Topcoated and done. This is 2 coats with no topcoat. My favourite white ever. It is super opaque and great formula. I could even get away with 1 coat if I was super careful. This is 2 coats with no topcoat. Gorgeous formula and opacity. It could be a one coater. 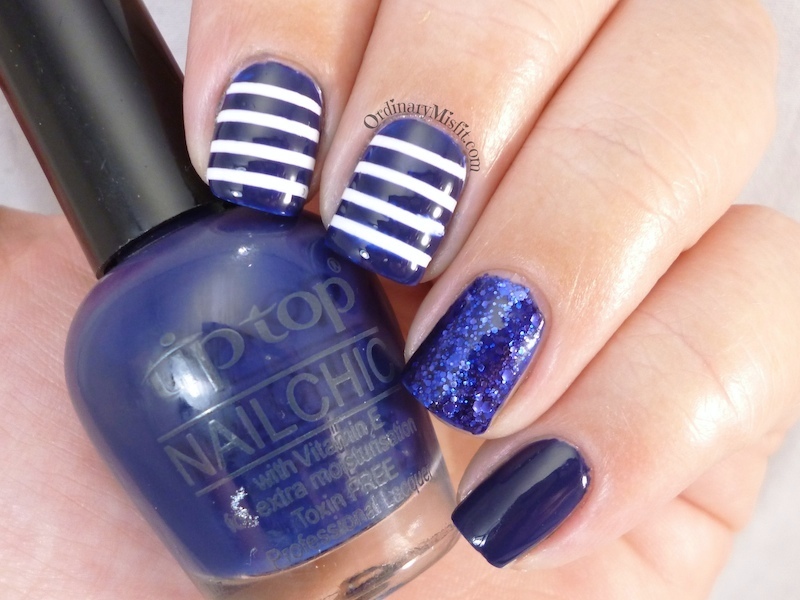 The most beautiful navy polish I have. I love this. This is 2 coats with no topcoat. 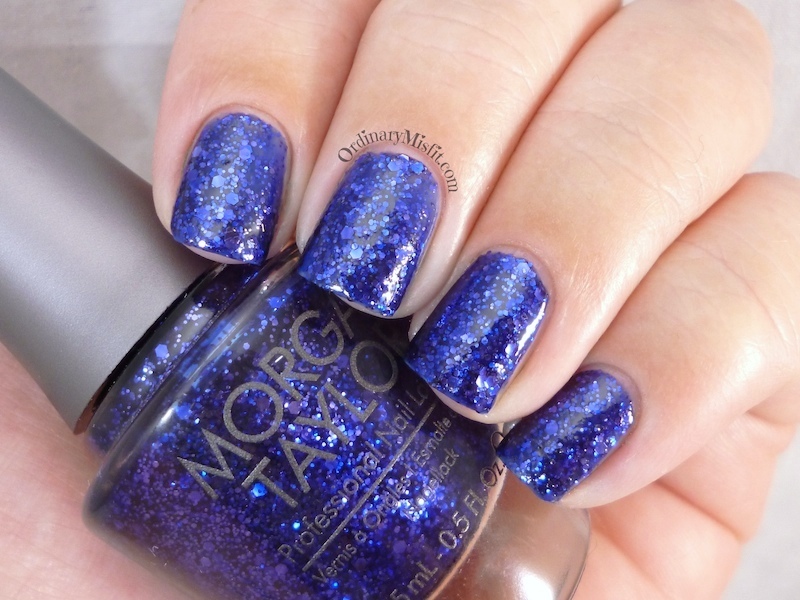 This is a royal / sapphire blue glitter in a blue base. Absolutely stunning and great formula. It finishes slightly gritty because of the chunky glitter but with one coat of topcoat it is smooth sailing. 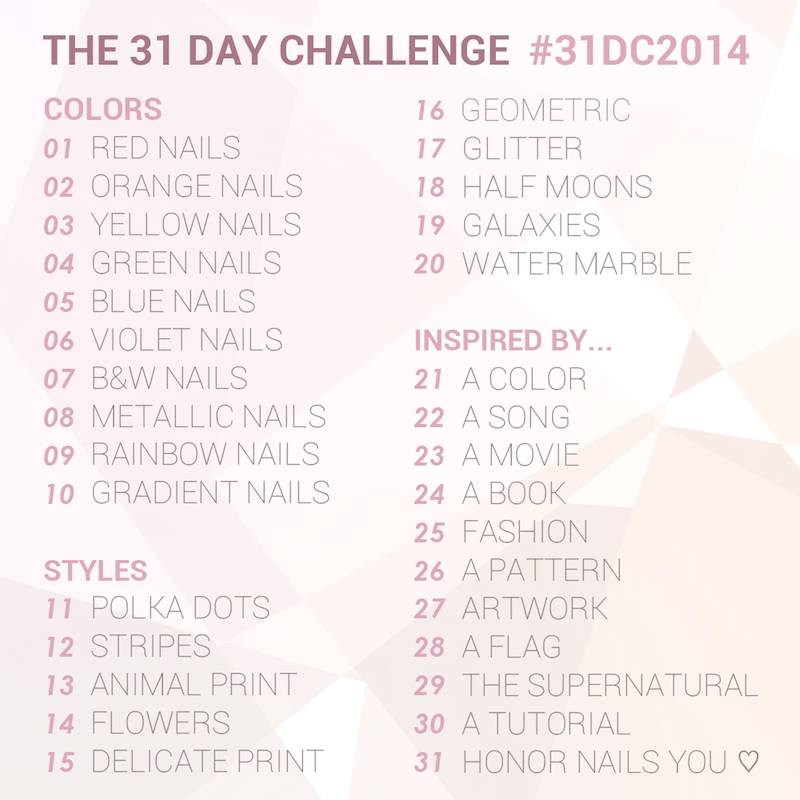 You can find the list of all the other people who followed todays prompt – as well as the poster with all the prompts – by checking out the Inlinkz goodie below or following the #31DC2014 on all social media platforms. Absolutely adore the Morgan Taylor Glitter one! Me too!! It is SO gorgeous! Regal as a Royal is STUNNING! Thank you so much! I was hoping the nautical feel would come through. I wanted to do an anchor as well but it’s not really me. I forget how amazing your nail techniques and paint jobs are!